These units give off an ultrasonic noise when it detects a dog barking, brilliant for use in kennels, gardens or on neighbours dogs! 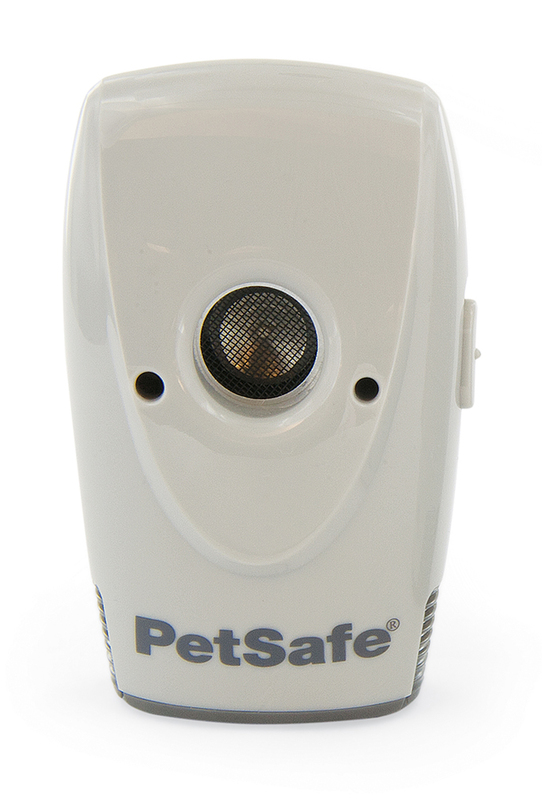 When the PetSafe Indoor Bark Control is within range of a barking dog, an internal microphone picks up the sound. The unit automatically emits an ultrasonic tone that can be heard by dogs but is silent to most humans. Startled by the high-pitched tone, the dog should stop barking. In time it will associate its bark with this unpleasant noise. The Petsafe Ultrasonic bark control uses a microphone to pick up the sound of your dog's bark, the unit then emits an ultrasonic tone that can be heard by your dog but is silent to most humans. Startled by the high-pitched tone the dog should stop barking as it will associate its bark with the unpleasant noise. 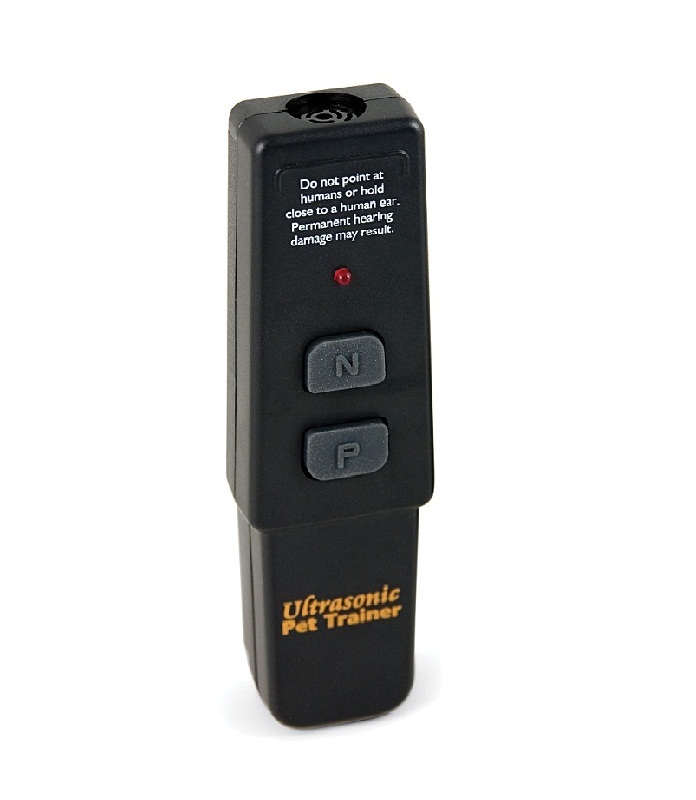 This collarless, cordless Remote Trainer emits two different tones; a positive tone to reward good behaviour and a negative tone to correct unwanted behaviour. A highly humane trainer that emits ultrasonic sounds to take advantage of your pet's sensitive hearing. If your neighbour's dog is driving you bonkers with his barking, help is here! 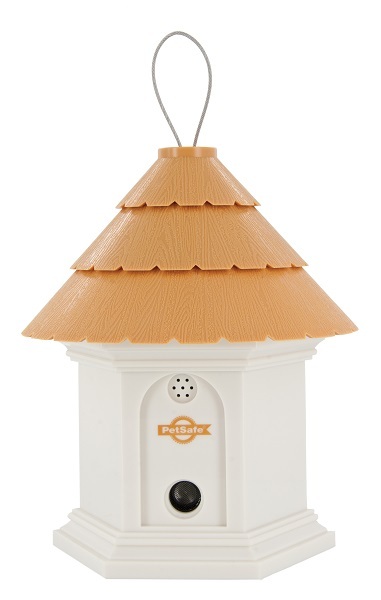 Our ultrasonic outdoor bark control unit looks like any ordinary birdbox that can hang in a tree, on a fence post or anywhere outside. 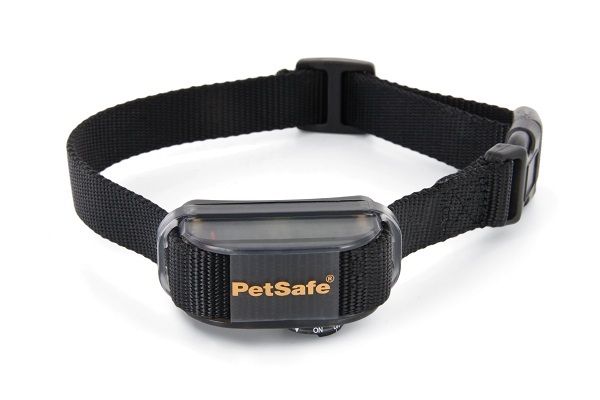 It detects barking from up to 15 metres away and has 3 range settings. Whenever your dog or your neighbour's dog barks, he will hear a safe, high-pitched sound (inaudible to humans) that will cue him to stop his annoying habit. When the PetSafe Deluxe Outdoor Bark Control is within range of a barking dog, an internal microphone picks up the sound and the unit is automatically activated. The Deluxe Outdoor Bark Control emits an ultrasonic sound that can be heard by dogs but is silent to most humans. Startled by the high- pitched sound, the dog should stop barking as it will associate its bark with this unpleasant noise. When the dog barks vibration is delivered from one of the two Vibration Points. The duration of the vibration is random, which interrupts the dogs bark. When used according to instruction the Vibration Bark Control Collar safely reduces (and in most cases eliminates) nuisance barking.